The laying of the U.S. Capitol's cornerstone on September 18, 1793, would not have been complete without appropriate celebration. When President George Washington led a company of volunteer artillery from Alexandria, Virginia across the Potomac River to join with Masonic Lodge members from Virginia, Maryland, and the Federal City (Washington D.C.), they marched to the site of the future U.S. Capitol building with music playing, drums beating, colors flying and spectators cheering. It wasn't planned at the time, but this symbolic event was the first of what has become a time-honored tradition of incorporating music to mark celebratory and honorary occasions in the Nation's Capital. 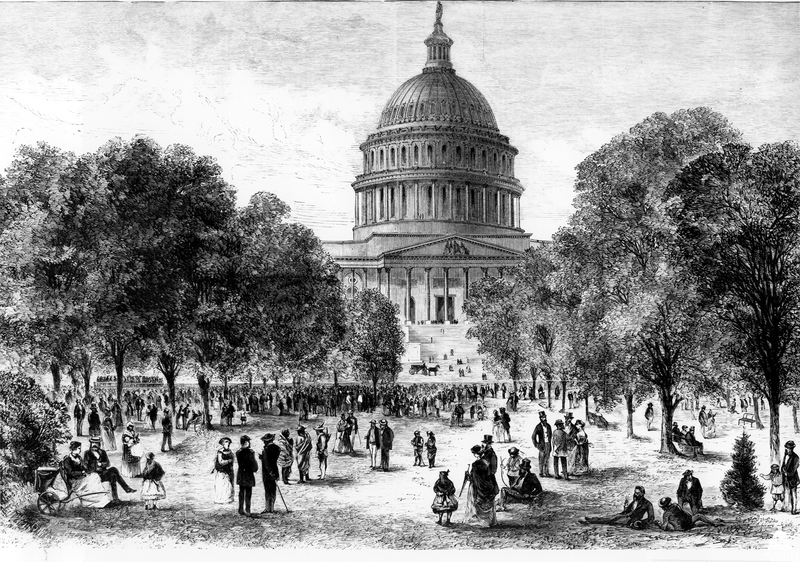 Music Evening at the Capitol Grounds, Washington, D.C., from Harper's Weekly July 23, 1870; and the last band concert on the Capitol's East Front in 1958 before construction of the extension. One of the longest-standing musical influences in Washington, D.C. is the bands of the U.S Armed Forces, which have performed concerts on Capitol Grounds throughout the summer since 1863. The 2016 series of concerts will be inaugurated by the United States Marine Band, "The President's Own," on Wednesday, June 1. Bands representing each of the branches of the military perform on alternating days on the West Front steps of the Capitol Building. All concerts will commence at 8:00 p.m. — weather permitting. View of the National Mall and fireworks, plus concertgoers at A Capitol Fourth, 2009. In 1981, Congress added to the musical history of the Capitol Grounds by authorizing Department of the Interior's National Park Service to sponsor a series of concerts annually performed by the National Symphony Orchestra. 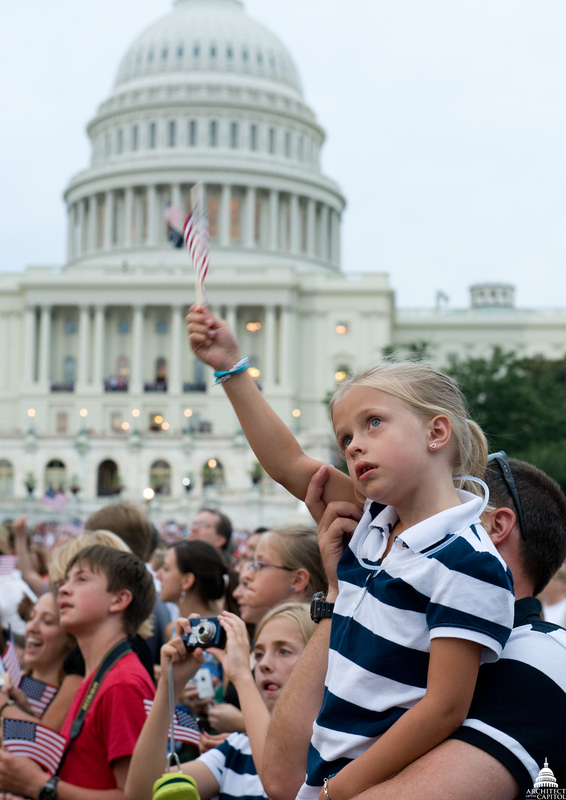 These concerts are free to the public and are currently held on the West Front lawn of the U.S. Capitol. These concerts have become star-studded events, broadcast live on the Public Broadcasting Service (PBS), in observance of Memorial Day, Independence Day and Labor Day. This year, the Memorial Day program is co-hosted by Tony Award winner Joe Mantegna and Emmy Award winner Gary Sinise. 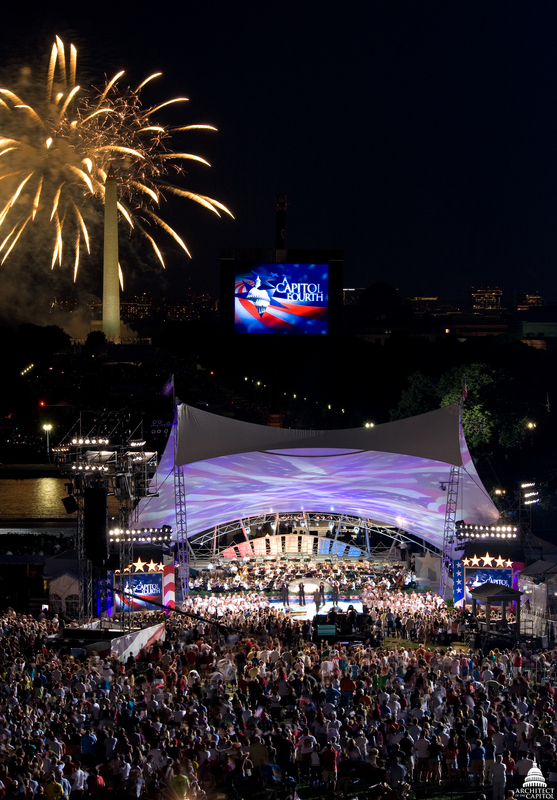 The Independence Day concert, A Capitol Fourth, has become "a parade of superstars" previously featuring many world-class talents such as Frankie Valli, Patti LaBelle, Stevie Wonder and Aretha Franklin. 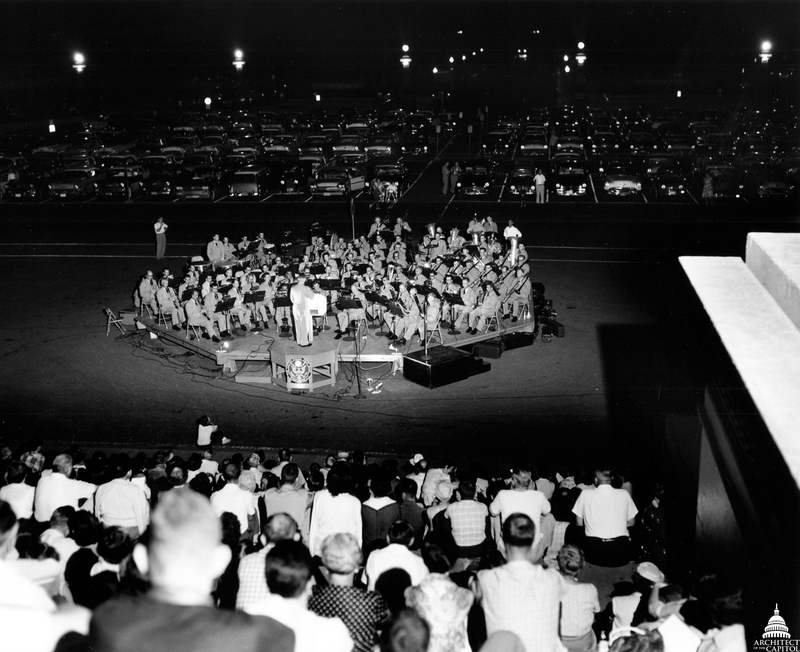 An annual series since 1925, the Library of Congress also hosts a number of free concerts presented by its Music Division. Their 2015-2016 season celebrates "90 years of historic concerts, extraordinary music, and legendary performers" at the Thomas Jefferson Building's concert hall. If your plans involve visiting the U.S. Botanic Garden, they host the popular (and free) summer concert series celebrating American roots music – Americana and folk, country, blues, and even zydeco. These concerts are held afternoons and evenings at the Conservatory Terrace. This summer take some time to enjoy these unique events around campus!